Welcome to Nuview Briards. My name is Michele DeTour and I am a breeder, owner, handler. 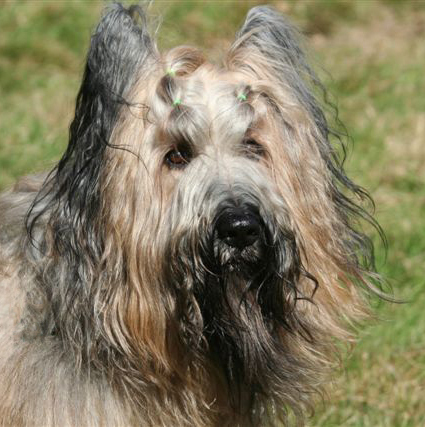 I am particularly devoted to the Briard as I love their independent spirit, beauty and loyalty. My mother got me involved in the world of show dogs as a handler at the ripe old age of 12. I began showing in junior showmanship and continue to show today. My first Champion was a Rhodesian Ridgeback owned by my mother. I was 15. I have always enjoyed showing dogs in the conformation ring but have also dabbled in herding, obedience, rally & agility. Today I show my own dogs and, occasionally, will show other people's dogs. In the last few years, I have finished many championships (American and Canadian). In January of 2011, I bred my first litter in five years. Gem is now an AKC & CKC Grand Champion & UKC Champion. She is a multiple Best In Show winner and finishes 2014 #1 Briard and #7 Herding dog in Canada. Molly has her AKC, CKC & UKC Championships with a UKC Reserve Best In Show. Eddie has his AKC, CKC & UKC Championships. 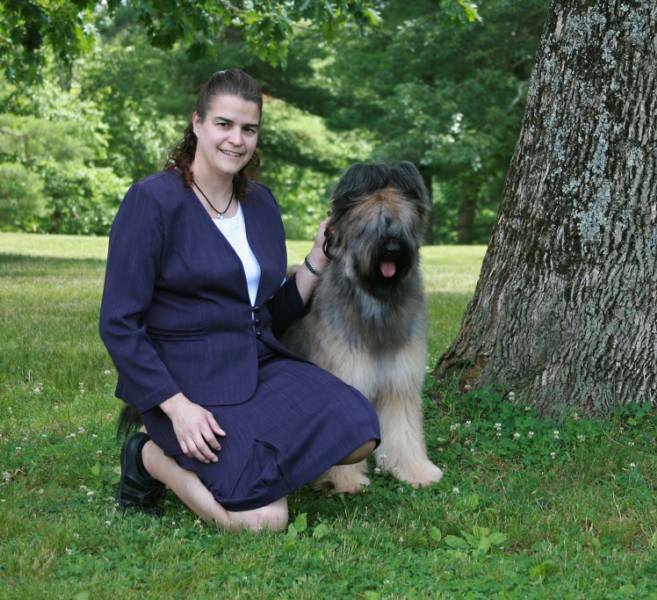 Eddie finished his 2012 year by being #1 Briard in Canada, he is also a multiple group placer. He now resides with his owner Lillian Roy in Canada. Gio is living in NC with his co-breeder Meg Weitz. He has finished his AKC championship with best of breeds over top ranked specials. That makes 4 champions out of seven in the 2011 litter. 2013 brought us a singleton puppy out of Molly & Cognac. Beautiful boy, Hennessy. He has his AKC & CKC Championships winning 3 Best Puppy In Shows and ranked # 4 Briard in Canada in 2014. Our 2015 puppies look very promising. The 2 we kept have their AKC champions, both under a year old. Tristan has his Canadian championship including a Best Bred By In Show. Katniss got Best In Show at a UKC show to finish her championship. Max has his Canadian championship. For information on my dogs and my breeding program, please feel free to peruse these pages. If you have any questions or need any additional information about the breed, feel free to contact me.